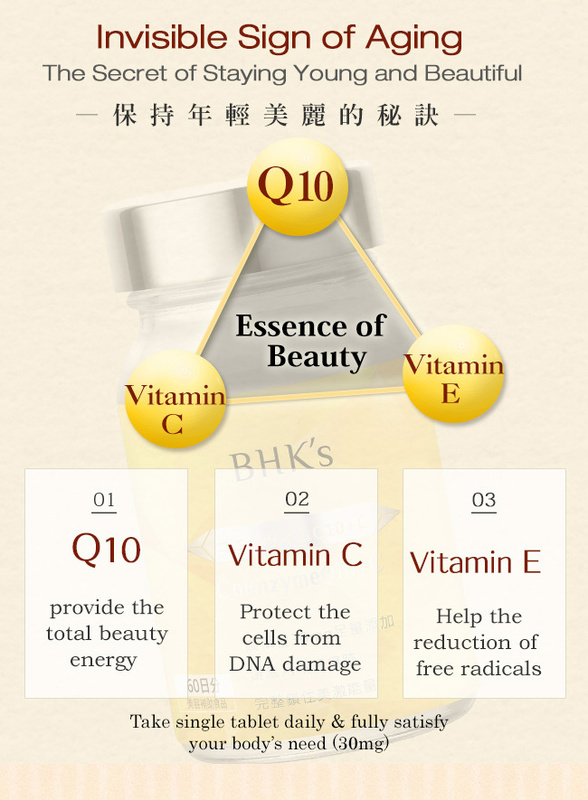 CoQ10, the essential nutrients for skin beauty and healthy living & wellness. 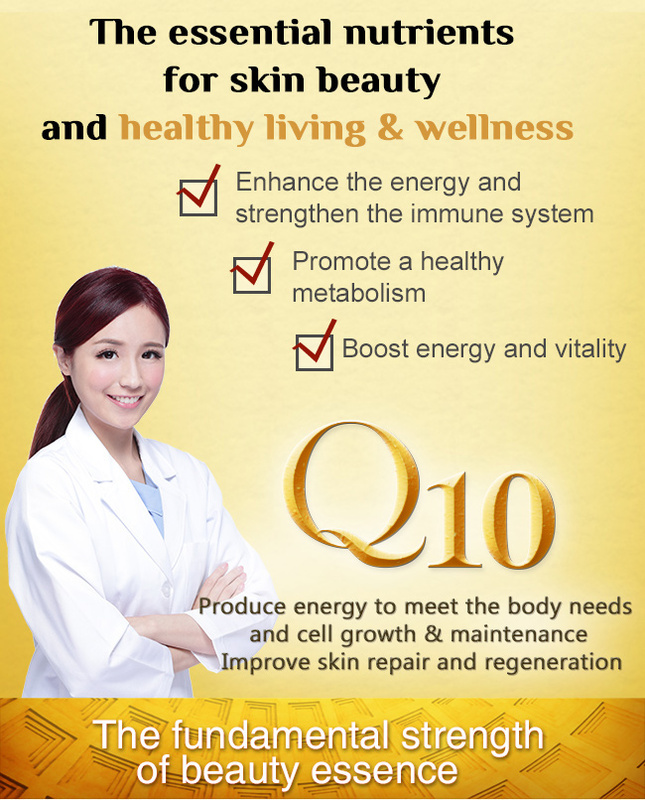 It is found in every cell of the body and body can makes CoQ10 as well. Cells use it to produce energy for cell growth and maintenance. 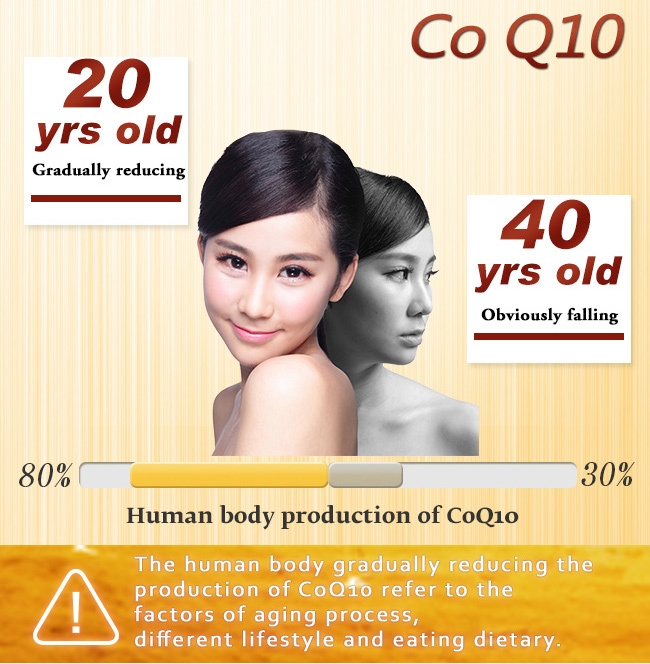 However, the human body gradually reducing the production of CoQ10 at 20 years old and obviously decreasing at 40 years old ! 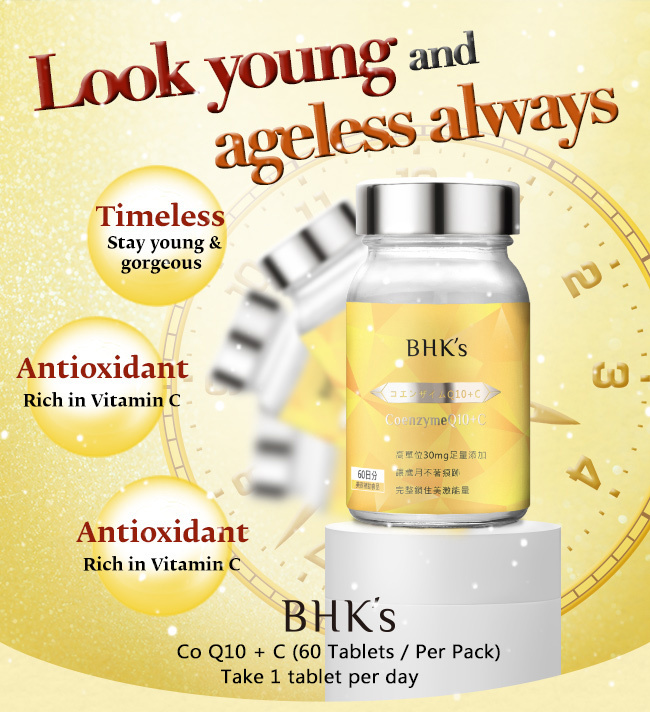 In fact, it’s important to be aware that the deficiency symptoms of CoQ10 such as, luck of energy, regarding the factors of aging process , different lifestyle and eating dietary. Suggested Use Take 1 tablet daily after meal. 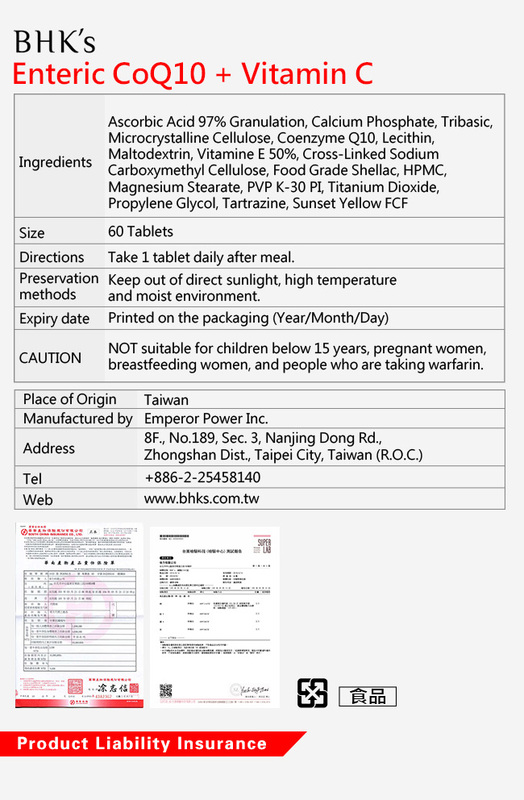 Do NOT take more than 1 tablets per day. 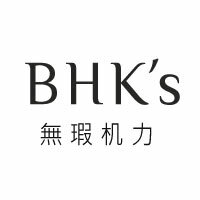 Preservation Methods Keep out of direct sunlight,high temperature and moist environment. 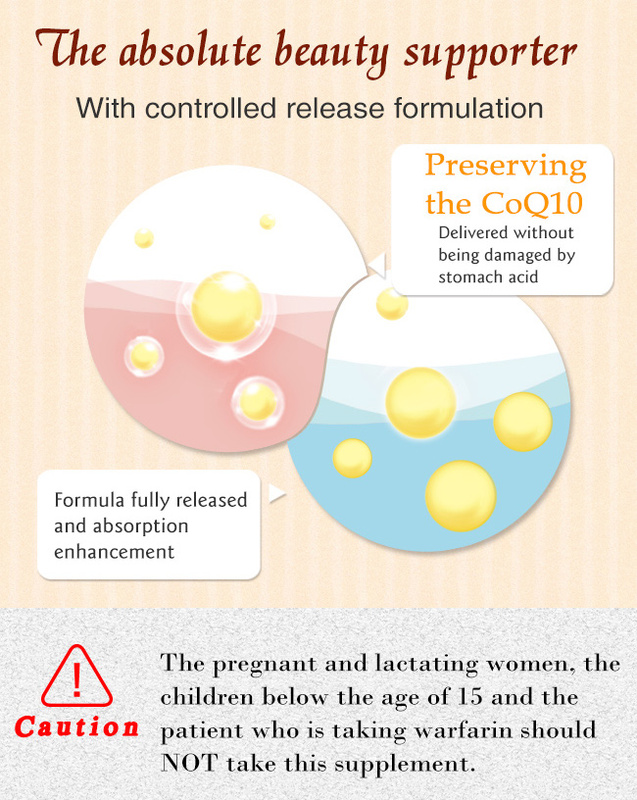 CAUTION NOT suitable for children below 15 years, pregnant women, breastfeeding women, and people who are taking warfarin. Once registered, you will earn reward 30 P，Redeem now ! Phone number must be digits.